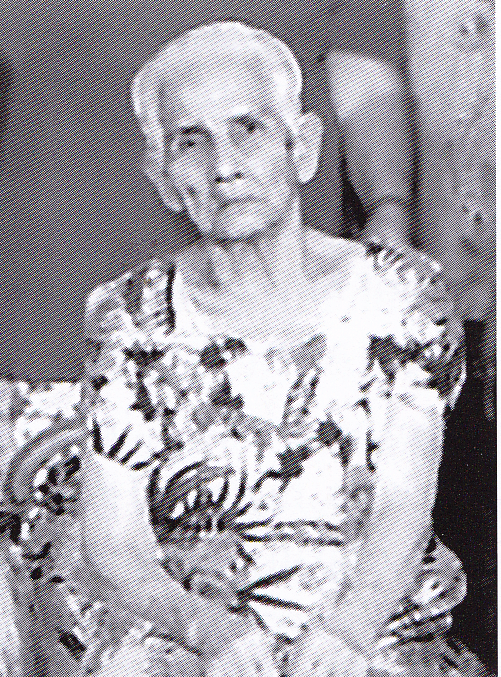 In our most recent post, we met Matidle F. Arriola, later known as Mrs. Matilde Shoda San Nicholas, a native Saipanese eyewitness who shared her fascinating personal encounter with Marie S.C. Castro on at least two occasions, and whose later interviews by researchers Joe Gervais, Robert Dinger and Fred Goerner are presented on pages 102-103 of Truth at Last. Needless to say, Matilde is among the most important of the Saipan eyewitnesses, her story well known to Earhart enthusiasts. Closely associated with Matilde’s reports are those of Joaquina M. Cabrera, because both eyewitnesses encountered Amelia Earhart in or in close proximity to Saipan’s Kobayashi Royokan Hotel, where other Chamorros also saw her in the months following her July 2 disappearance. Joaquina, who was born on October 4, 1911 and died July 22, 2004 according to recent information from Marie Castro, told researcher Joe Gervais in 1960 that she worked in the hotel in 1937 and ’38, and that each day she had to take a list of the people staying at the hotel to the island governor’s office. “One day when I was doing this I saw two Americans in the back of a three-wheeled vehicle,” she said. “Their hands were bound behind them, and they were blindfolded. One of them was an American woman.” Cabrera said a photo of Earhart and Noonan that Gervais displayed “look like the same people I saw, and they are dressed the same way,” adding that she saw the Americans only once, and didn’t know what happened to them. One day when I came to work, they were there . . . a white lady and man. The police never left them. The lady wore a man’s clothes when she first came. I was given her clothes to clean. I remember pants and a jacket. It was leather or heavy cloth, so I did not wash it. I rubbed it clean. The man I saw only once. I did not wash his clothes. His head was hurt and covered with a bandage, and he sometimes needed help to move. The police took him to another place and he did not come back. The lady was thin and very tired. Every day more Japanese came to talk with her. She never smiled to them but did to me. She did not speak our language, but I know she thanked me. She was a sweet, gentle lady. I think the police sometimes hurt her. She had bruises and one time her arm was hurt. . . . Then, one day . . . police said she was dead of disease. Joaquina said the woman was kept at the hotel for “many months. Perhaps a year.” She heard the man had also died, though she didn’t know the cause of his demise, and she thought the woman was buried in the cemetery near Garapan, long since reclaimed by the jungle. Though Joaquina offered two different stories, both may have been true. Her testimony to Goerner seems more credible, however, considering the presence of the priests and the rich details in her recollection, than the brief, rather stiff account she rendered Gervais. Joaquina passed away in July 2004 at 92. In 1937 Joaquina M. Cabrera, a young woman, worked in the laundry at the Kobayashi Royokan Hotel. Joaquina was our neighbor and a relative. One day a number of years later, Joaquina, accompanying her mother on a regular visit to our house, mentioned a leather jacket that had turned up in the laundry to be washed. Suddenly she remembered seeing the lady pilot wearing the jacket. Joaquina handled the leather jacket with care. In Saipan’s warm climate Amelia wouldn’t be wearing it. So what happened to her jacket? No one ever knew! The puzzle that remains unsolved regarding the location of Amelia Earhart’s final resting place should focus on the island of Saipan in the Mariana Islands. 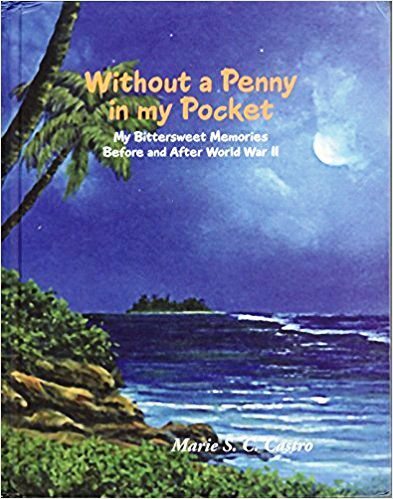 I believe that — based upon the fact that during her exile as a political detainee of the invaders, Saipan is the island where she was known to have last lived — by taking advantage of today’s sophisticated technology, it should be possible to finally uncover the place of her mysterious burial, unknown to the world for the past 75 years. Is it possible that after all these years the solution of one of the most vexing mysteries of the last century will finally be solved? We can only wait and see. Once again, I ask everyone who cares about the truth to donate whatever you can to the planned Amelia Earhart Memorial on Saipan (see March 16 story, “Saipan architect unveils planned Earhart Memorial.” Please make your tax-deductible check payable to: Amelia Earhart Memorial Monument, Inc., and send to AEMMI, c/o Marie S. Castro, P.O. Box 500213, Saipan MP 96950. The monument’s success is 100 percent dependent on private donations, and everyone who gives will receive a letter of appreciation, like the one below, from the Earhart Memorial Monument Committee. Thank you. 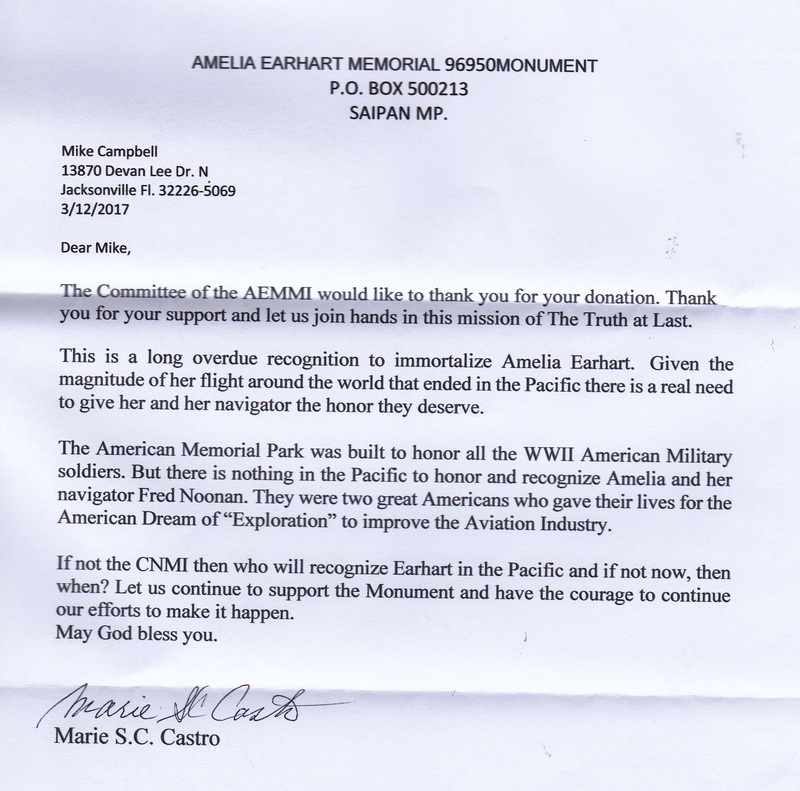 Anyone who contributes to the Earhart Saipan Memorial Monument will receive a letter similar to this one from Marie Castro, the vice president of the memorial committee. It is destined to become a collector’s item, and I’ve already framed it. Thank God for the witnesses like this lady, or we wouldn’t know what happened to Amelia and Fred! It seems surprising that no one in the Marianas has taken on the task of looking for either the burial site identified to Devine or relocating the probable site excavated by the Marines in 1944. I also recall that a GI stated that the wreckage of the Electra was bulldozed along with Japanese aircraft into a ravine. If that is so then it might not be that difficult to locate since WWII era aerial photos should show potential sites. While much of the aluminum airframe may have been damaged beyond visual recognition the steel parts would have survived relatively intact. BTW, some of Devine’s account of the destruction of the Electra doesn’t ring true but it’s possible that’s because he was “ground Army” and didn’t understand how things work with aircraft, the heat of the moment, etc. See the History Channel’s July 9 abomination, “Amelia Earhart: The Lost Evidence,” for Les Kinney’s dig at the Griswold-Henson-Burks site, which found nothing. Why should they, when the Kothera group got all the small bone fragments in 1968? Or maybe the History Channel dig was all for show, or wasn’t at the right place? Who knows? Devine’s gravesite is far too vaguely described in his work to locate exactly now, though he claimed he found it in 1963 in his only return to Saipan. Devine knew what happened, “ground Army” or not. The charred remains are under the tarmac, and the only possible way to identify it would be to find the engine tag or construction tag of the Electra — after you’ve dug up the entire airport and exposed the thousands of tons of metal wreckage of all manner of Japanese planes that were buried there after the invasion. Based on the Griswold/Burkes/Henson account the gravesite was found and the bones removed….possibly still in a container hidden away deep inside the national archives. I read Fred Goerners’ book when it came out in the mid 60’s and couldn’t put it down. Three very interesting things I remember from it is: 1) Fred Noonan never learned Morse Code, the Chief Navigator for Pan American. 2) AE removed her Trailing Antennae, I think in Miami because she didn’t like having to reel it back into her airplane. FN could have done this and it may have saved them. 3) FG wrote about an interview on Japanese TV. He asked if anyone knew anything about AE and FN? He received a letter sent to him via the TV station, and in it was a letter from a Japanese military widow. In it she told of her husband having been a guard, I believe on Saipan. He told her of the American woman flyer and her American companion. He had a photograph of them that he had taken and she included it in the letter. The letter had been opened, but the photo was missing. I find this to be one of the most interesting of testimonies in the AE/FN mystery. I have never read or heard another thing about it since. I find this odd that such a lead has grown so cold and without further comment. See pages 24-25 of TAL for the skinny about Noonan, Morse code and the trailing antenna. Goerner’s knowledge was limited before his book was published in 1966. Noonan did know Morse, but he wasn’t very proficient, is the short answer. In a 1989 letter Goerner rejected the idea that AE left her trailing antenna in Miami, and claimed Joe Gurr told him the antenna was removed at Burbank after the Luke Field crackup. Regarding Goerner and a Japanese TV interview: See pp. 304-305 of The Search for Amelia Earhart. It wasn’t Goerner but his friend Matthew Katz who went on a Japanese program similar to our old “What’s My Line,” and asked viewers with knowledge of the “two American fliers, a man and a woman, on Saipan before the war, to address him in care of the Japanese network,” via an acquaintance of Katz’s at the station. Six letters finally arrived, none via the station but through unknown sources, and all had been tampered with. Indeed one was from a woman who claimed her husband had served on Saipan, was now dead, and had spoken of the “American woman flier” on Saipan. The photo she had enclosed was missing. “”Obviously there was going to be no cooperation from Japan where Amelia Earhart and Frederick Noonan were concerned,” Goerner wrote. I regret that I missed including this item in Truth at Last. It’s an oversight that’s far too late to correct. Would it be helpful to begin a go fund me campaign to help finance the Saipan monument for Amelia Earhart? Marie Castro has informed me that she’s received your generous check in the mail, without benefit of a “GoFundMe” campaign. Thanks for your kindness, I wish we had a thousand more like you. I’ve found that scant few if any in the key demographic for this Facebook spinoff are interested in the Earhart story, and thus I see no reason to get involved with it. I am not in that demographic, though I’ve tried Facebook as a means to direct more to the blog without any success whatever. If anything changes and I think a GoFundMe approach would help, I won’t hesitate to start one. Those who care have sent checks and will continue to do so, God willing.